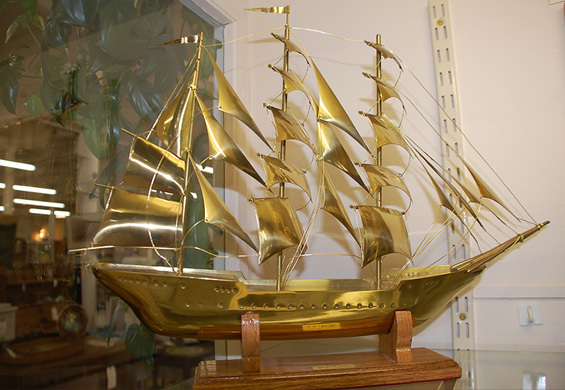 This is a very well made, solid-brass, hand constructed, original piece of art. 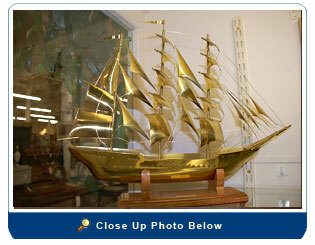 It is a representation of the Portuguese clipper ship "Sagres" which was built in 1937 and was 89.7 meters and 869 tons. This was originally coated with a clear brass lacquer which has held up well and we refinished the wood stand.